Exhausted with work last week, I took the Friday off and was glad I did; it was a beautiful morning to be out and about. The sun's rays have warmth and the birds have been triggered into song. 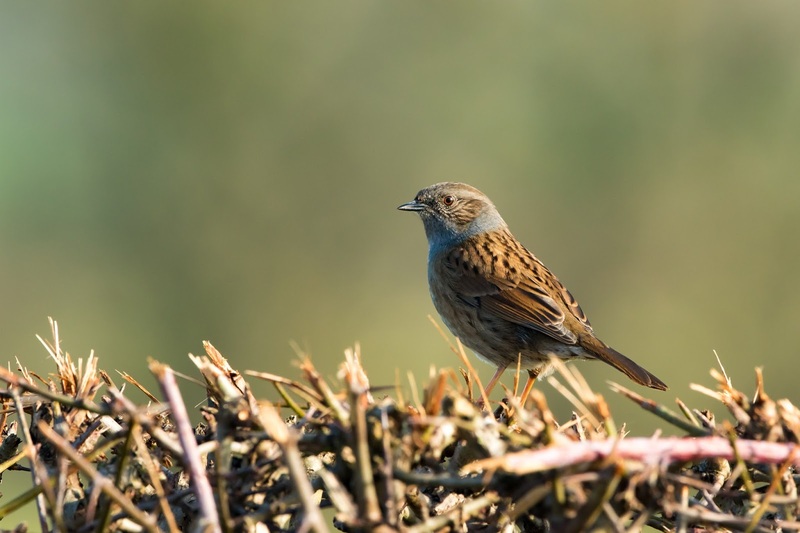 In the garden, song thrush, blackbird and robins are the most vocal, while the house sparrows have begun fighting for roof space, noisily clattering along the gutters as they dispute. Along the river, a flotilla of 6 goosander split equally drake and duck were seen. I had only seen the odd bird in flight thus far this year, so it was pleasing to see so many together. As I watched them fly up river away from me, I missed what was certainly an otter splash and vanish from sight. 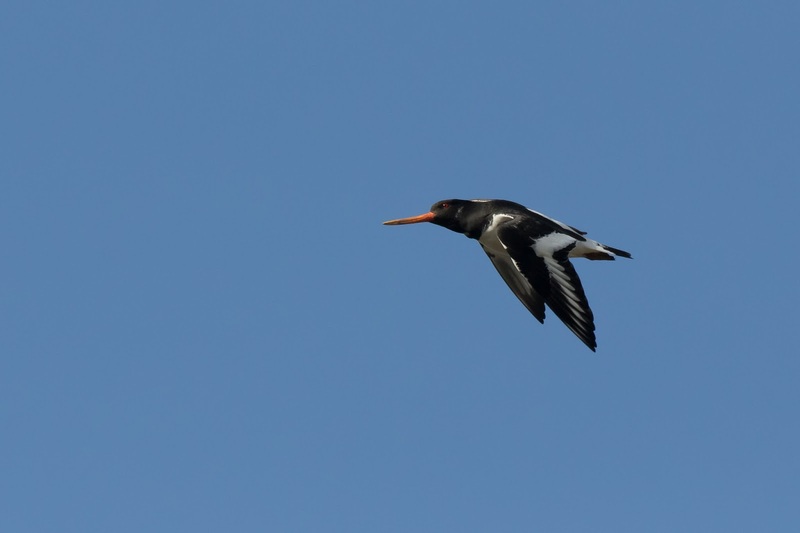 Also on the river were the first pair of oystercatcher, joining the lone bird that has been hanging about for weeks. 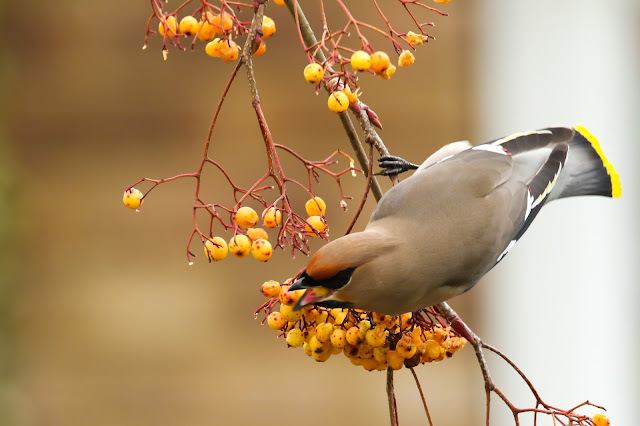 I got the call from Nick that they were present in Morton-on-Swale so rushed to see them. There were some 80 birds, but they began to disperse soon after i arrived. Nick put the idea in my head that I'd be able to record them on my patch so I went and stood on the highest point and watched Morton from afar until I spotted the large flock fly-catching at Morton bridge! Here is the best picture I could manage in the brief time they were at eye level. Great photos, Dunnocks have been in full song here for a little while now, beautiful to hear.